-New battery powered transmitter option! Mic option! Bluetooth option! -Transmitters included no extra charge! Both ways, anywhere in the continental USA with any number of headsets. Ready for your best party ever? Silent Disco is perfect for youth outreach. If you want young people in your community to hear the gospel, first you need to get them to your event! Silent Disco is something that is easy to invite people to and they will _want_ to come. The best way to reach the young people is with something that is new and exciting! 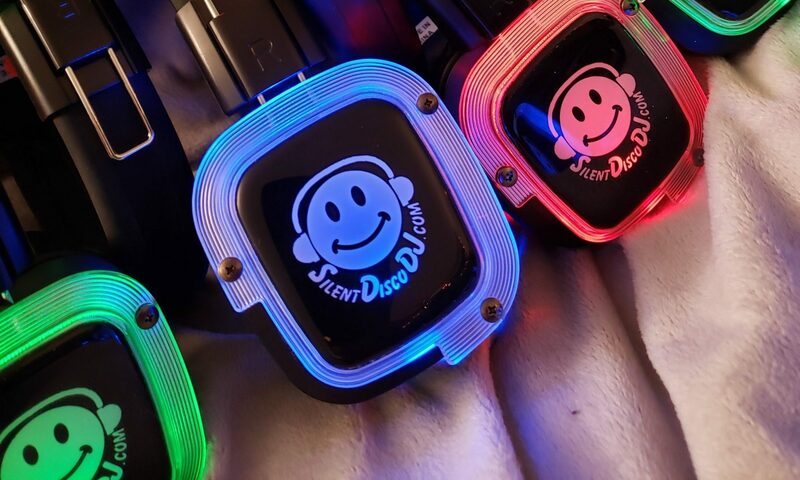 Silent disco packs the dance floor and gives participants a brand new way to interact with music and each other. 1) Email me to get your quote and to get started. 5) You have an amazing party! 6) You repack the headphones and use the enclosed prepaid return labels to ship them back to me. 8) You contact me for your next party because you had so much fun this time!